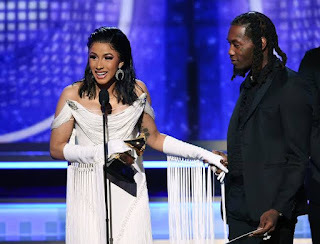 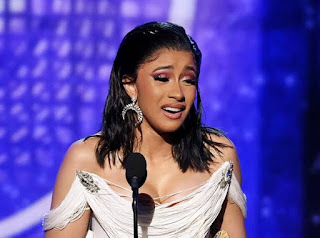 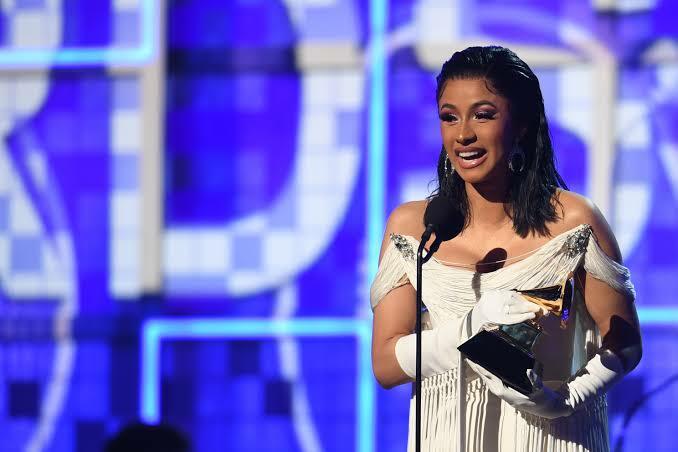 Sunday night, Cardi B became the first woman to win the award for Best Rap Album when she took home the honor at the 61st annual Grammy Awards ceremonies. She was joined onstage by Offset as she accepted the trophy for her Invasion of Privacy debut. 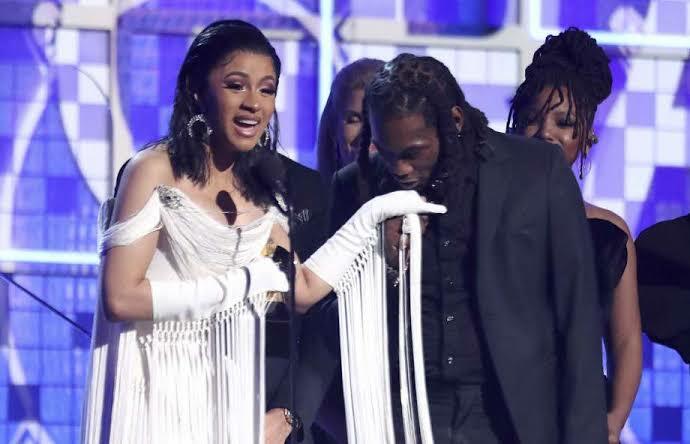 Cardi was up against some formidable competition including Nipsey Hussle, Pusha T, Travis Scott, and the late Mac Miller. During the night, Offset also teased the arrival of his own solo project, debuting a trailer on social media that included a snippet of Cardi B giving birth to the couple's daughter, Kulture.